Designed by Mart Stam. 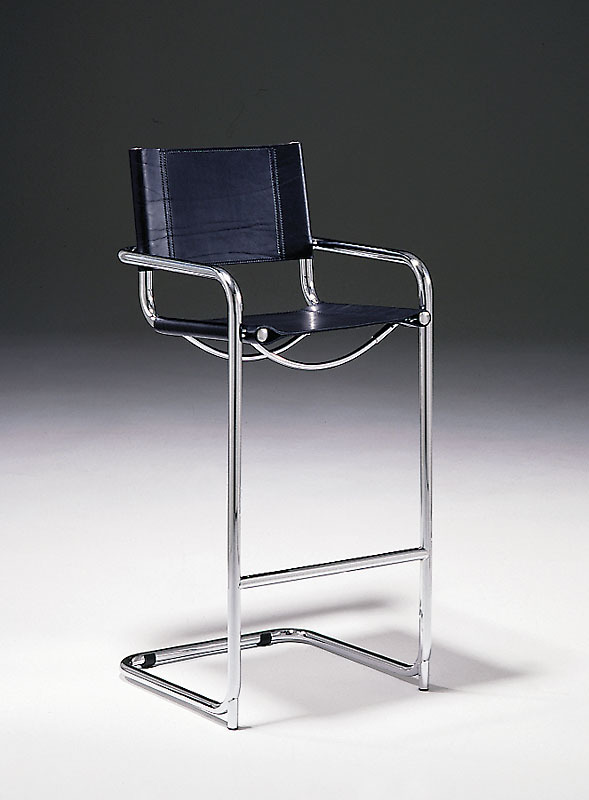 Triple chrome plated, tubular steel frame construction. Welded anti-tip device on Counter/Bar Stools. Full top grain, uncorrected belt leather. Black standard, other colors available at an upcharge.Leather arm caps standard on chair. Capless version available upon request. (OFC: "original factory covering" -"a full top grain, uncorrected, belt leather. )27 Lbs W 18.5" D 20" H 42" StH 29.75" ArH 34.25"